Design team comprising representatives from, Port Stephens Council, Worimi Conservation Lands, Worimi Local Aboriginal Land Council, Traditional Aboriginal Owners, Sand dune tourism operators, Transport companies, Destination Port Stephens,National Parks and Wilidlife Service, NSW Crown Lands and Birubi Point Surf Life Saving Club. IT’S the gateway to the stunning Worimi Conservation Lands and the largest moving sand dunes in the southern hemisphere — and now Birubi Point Aboriginal Place will have a tourism interchange to match. Port Stephens Council has been successful in receiving $5.4 million from the Growing Local Economies Fund to build an information centre and tourism interchange at Gan Gan Road, Anna Bay. 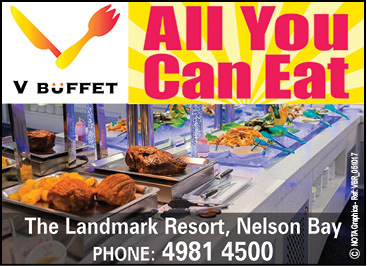 Mayor Ryan Palmer says this is a game-changer for the residents of Anna Bay and the thousands of people who visit each year. 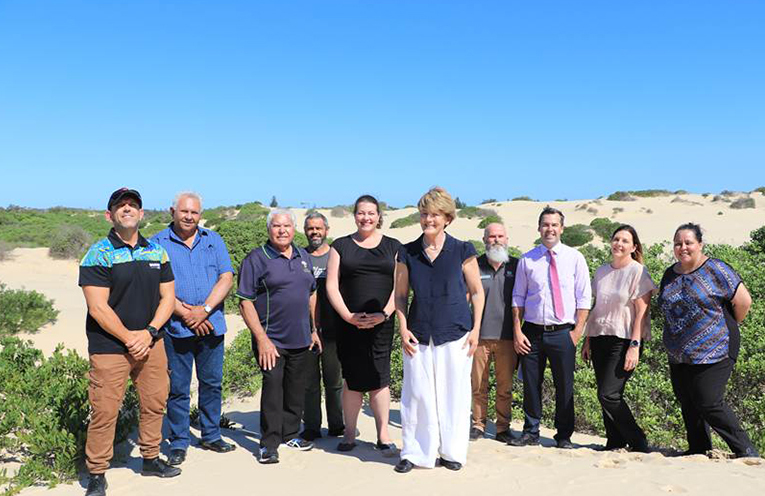 “Birubi Point Aboriginal Place is the best piece of coastline in Australia, and this funding will ensure we can enjoy and protect it for many years to come,” Mayor Palmer said. “Over the years, the number of visitors to this beautiful place has grown exponentially — causing traffic chaos and putting increasing pressure on the environment and Aboriginal heritage and cultural values of the area. “This tourism interchange will be carefully designed to alleviate these issues. It will become the gateway for visitors to enjoy the Worimi Conservation Lands however they choose — four-wheel drive, quad bike, horse or camel ride, surfing, fishing, or just a stroll on the beach. Steve Bernasconi, Council’s Community Services Coordinator, says today’s announcement has been many years in the making. “This funding announcement is the culmination of 7 years of hard work by the community and Port Stephens Council. “Many people have been involved in coming up with a solution that will create a unique visitor experience and improve the lives of locals, while respecting the value and significance of this incredible place,” he said. “I couldn’t be more proud of what we’ve been able to achieve here so far, and for what’s yet to come,” he added. The proposed design includes 50 car parking spaces (including 3 disabled spaces), 10 coach parking spaces with a drop-off zone that can accommodate 2 coaches, and provisions for pedestrians and cyclists. The interchange has been designed by urban planning firm McGregor Coxall and architects CHROFI in consultation with a local design team.